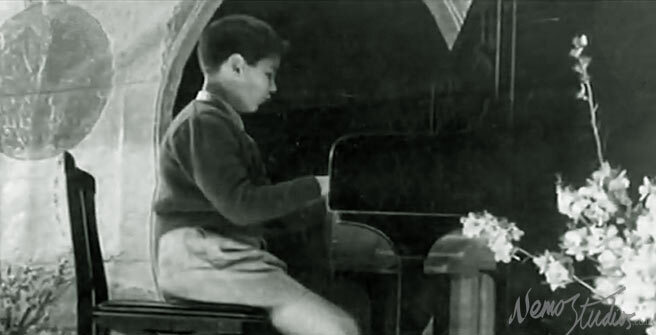 In those early years, Vangelis was not content to play just melodies, he wanted to create his own individual musical style. He was obsessive about discovering new sounds and understanding the nature of noises around him. His talents did not go unnoticed by his school or his family. They actively encouraged him to pursue his natural gift, and they encouraged him to attend a music academy for formal training. 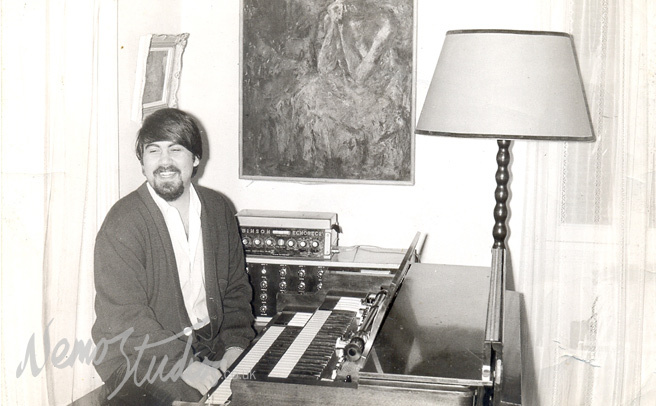 However, the young Vangelis was not interested in becoming a great pianist or orchestral conductor. It was not his intention to make music his profession. He preferred to experiment with new sounds. As time went by, Vangelis steadily developed his own unique style. As a teenager, he had an inherent hunger for musical knowledge. He wanted to push all the boundaries, and this included the restrictions of his own country, Greece. In the late 1960s, he moved to Paris to form an influential Greek progressive rock group, Aphrodite’s Child. They were enormously successful in Europe. The group’s final ‘666’ double album is still well regarded, and constantly appears on lists of favourite progressive rock records. As well as working with his band, Vangelis also produced music for film and television. In 1970, he started a creative partnership with film documentary legend Frédéric Rossif. During this period, he scored music for several art and wildlife films. The 1968 student riots in Paris had a lasting impression on Vangelis, as he experienced them first-hand when he arrived amid the city’s demonstrations. In 1972, he created an album influenced by these rebellious events. The album was presented as an audio documentary. It featured sound recordings from street demonstrations, including sounds of riots and gunshots. The album also captured the first-hand reactions of people in the streets. All these sounds were poetically interweaved with chants and dream-like music. In 1973, he released his second solo album, called ‘Earth’. This percussive-orientated album had strong Byzantine undertones, reflecting Vangelis’ connection to his roots. The album was promoted by a concert, held in Paris, at the Olympia Theatre in February 1974. The event was highly praised in the press, as it demonstrated Vangelis’ virtuoso skills on a variety of musical instruments.